Last year, a couple of months before Christmas, I entered a giveaway on one of Susan Toy’s blogs, Reading Recommendations and I was lucky enough to be chosen as one of the recepients to receive a book. 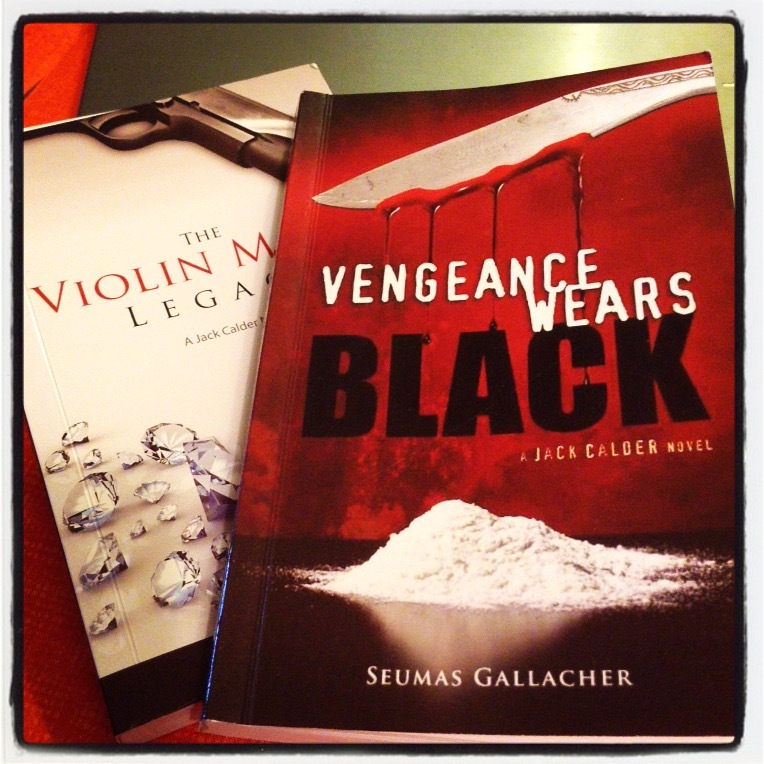 My choice was an author I had not read before but had noticed around the blogosphere: Seumas Gallacher. T he past two weekends has seen me reading the words in Vengeance Wears Black, a crime thriller. The novel drew me in from the first line and kept me interested until the last page. This fast-paced thriller centres around the character Jack Calder, an ex-SAS agent and security specialist. The action begins with a deadly grenade which is thrown into a Chinese restaurant in the West End in London at lunchtime, and continues into the world of the drug trade. Readers are taken from London to spots in Europe with Jack Calder and his ISP colleagues. Reading this novel made me think of fast-paced Hollywood action movies. I turned the pages quickly and regretted the moments when I had to put the novel down. The second Jack Calder novel is one that I would recommend, especially if you enjoy reading fast-paced stories that are succint and full of action. I enjoyed this read and look forward to reading the next one featuring the former SAS agent. Do you enjoy reading fast-paced thrillers? Yes I do like fast-paced thrillers, there is nothing quite like a book that you are loath to put down! You would love this tale then Cleo. The story gripped me from the first page. Not familiar with these books but sound intriguing. Cool that you won. I could use something fast paced around here. Our winter has begun in earnest now.